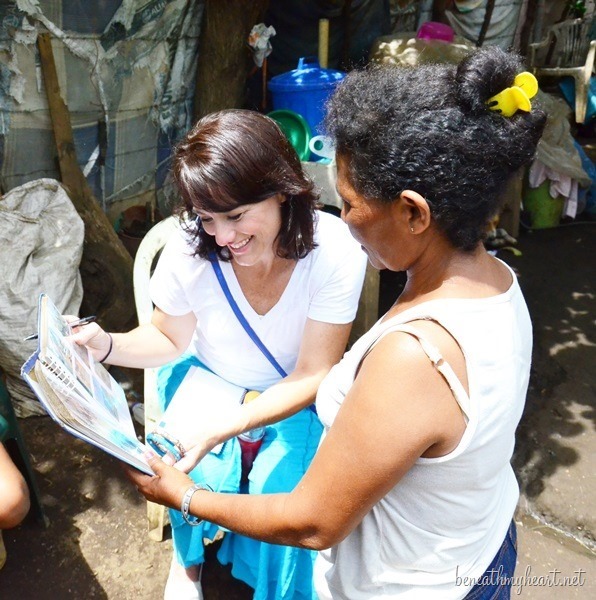 I made it safely to Nicaragua, and I am so glad I get to share this journey with you. Thank you so much for praying for me, and I treasure your continual prayers for me and my team as we spend the week here in Nicaragua. My heart has already been touched in so many ways, and we have only been here one day. I am so honored to share with you what I have seen and experienced today. My first thought that I want to share with you is that we serve a BIG GOD! And the same God that loves all of His people in the United States is the same God that loves His people in Nicaragua. His love is everywhere! It has been so beautiful to see God’s love radiate from the people that work with Compassion International to release children from poverty. I was especially touched by the words of this man, Dennis Sanchez . He is the pastor of the church that partners with the Compassion Project NI-155 that we visited today. Every time he spoke, he brought tears to my eyes. He spoke with such love and passion for the children of Nicaragua. 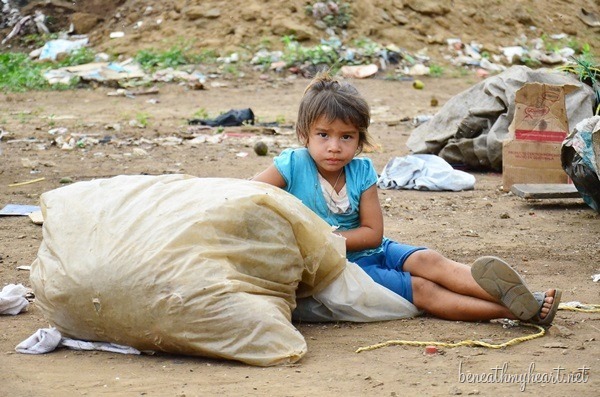 Compassion serves as the hands of Jesus to the children of Nicaragua. social/emotional needs, physical needs, cognitive needs, and most importantly, their spiritual needs. They work tirelessly, day in and day out, to provide for these children. But the body of Christ is made up of more than just hands. This week, it is my prayer that I, along with the other bloggers, will serve as the feet of Jesus and the voice of the children of Nicaragua. As we walk in the footsteps of the children of Nicaragua, it is my prayer that we serve them by sharing their voices to you, our readers. I have truly never seen anything like it. 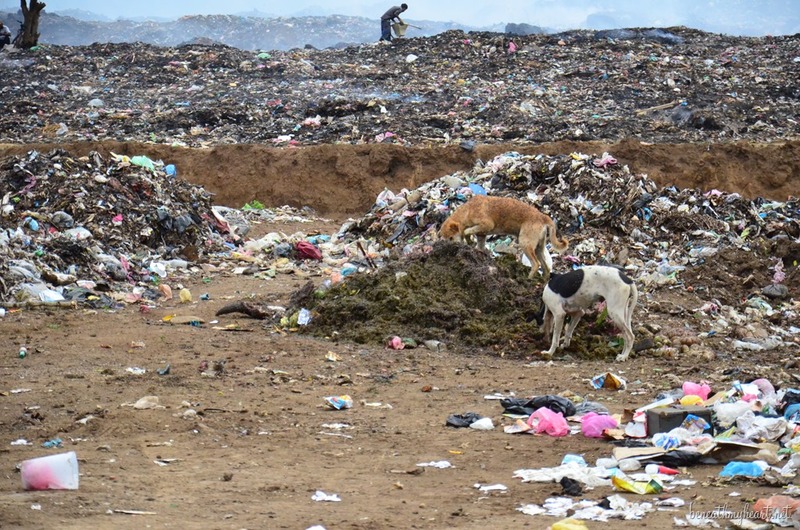 Five times a day, a large truck dumps the city trash in this area. 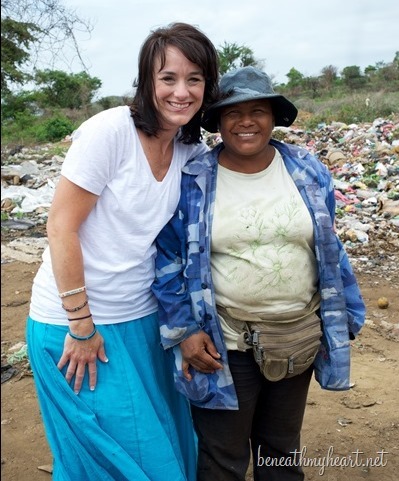 People like Lucia show up around 5:00 in the morning and work all day picking through the trash to find items to recycle. Isn’t she beautiful? She has been working at this dump for 22 years. 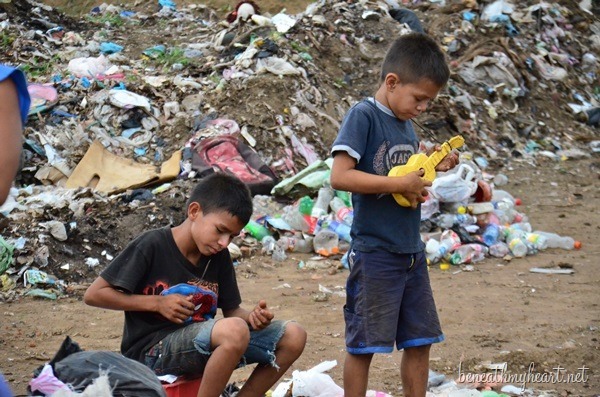 Many of the workers bring their children to the dump with them each day as they pick through the trash. The children will find old toys in the rubble to play with as their parents work. 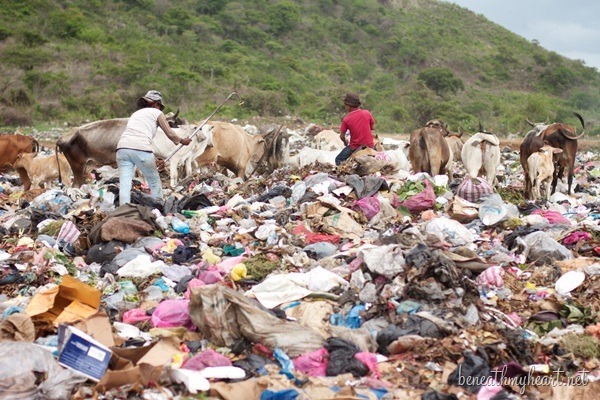 On a good day, the workers will be able to make around a dollar a day picking through the trash. The smell was unbelievable in this place. The trash stretched out as far as the eye could see. Flies were swarming around everything and everyone. Yet it didn’t seem to phase any of them. This place left my heart feeling sad and helpless. But we didn’t stop walking there! Follow our feet to the Compassion Project NI-155, where you will hear voices of HOPE! There is so much JOY in this place! Everyday, this place is filled with children learning in the classrooms. It’s full of children getting their physical needs met. 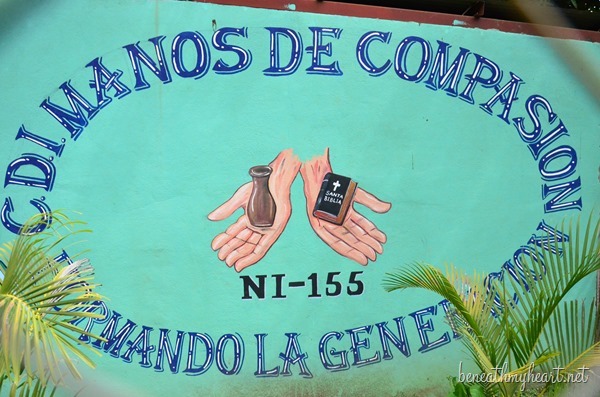 This project serves 452 children, 415 of which are sponsored by people from around the world. Each time a child is sponsored, it opens up another spot for a new child to be sponsored by Compassion as well. 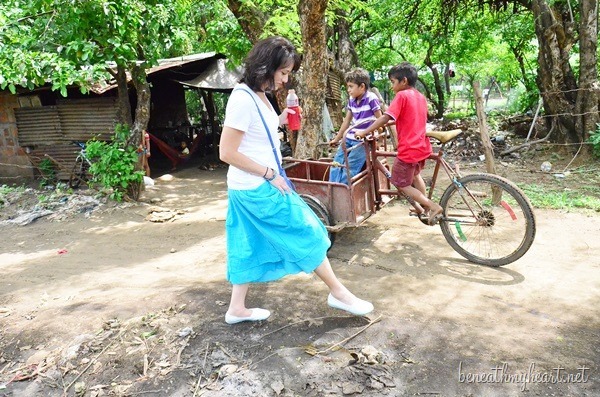 We had the chance to go to several of the homes of sponsored children in the area. Edie and I went to visit 12 year old, Sarah, who has been sponsored by Compassion for since she was 4 years old. She lives with her sister, Maria, and her mother, Inez. It is a two-room home covered in metal. It’s not much, but it is home. Inez is raising her two daughters by herself. I see such bravery and beauty in her face. I also see relief. Relief that Compassion is helping to provide for the needs of her daughter. She said that Compassion has helped her family in many ways. One way is by providing school supplies for Sarah. 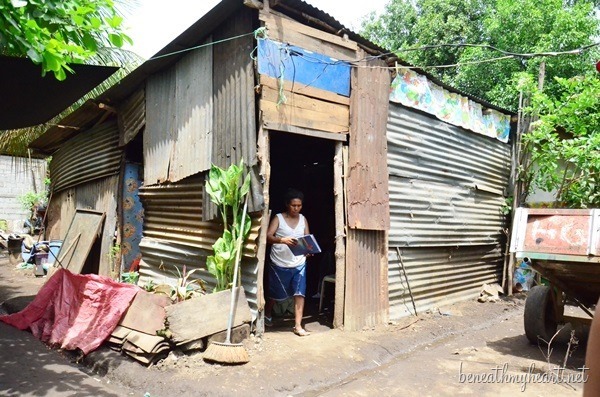 Inez said she can now use the money that she used to spend on school supplies to buy food for her family. I know she is so grateful to the family who sponsors her child. When we asked her about them, she went into the house to get their family photo album. She proudly showed us all the pictures she had received from their sponsor family. As I looked at the photo of the sponsor family, it got me thinking about the Body of Christ again. Well, I think they are the HEART. Hearts that beat with the love of Jesus. Hearts that love children and want them to know of God’s amazing love. Hearts that reach across the miles, across the oceans, across the world, and show COMPASSION. Hearts that make a difference in the life of a child. But YOU CAN BE THE HEART that beats with love for these children. Click on the button below to sponsor your very own precious child today! 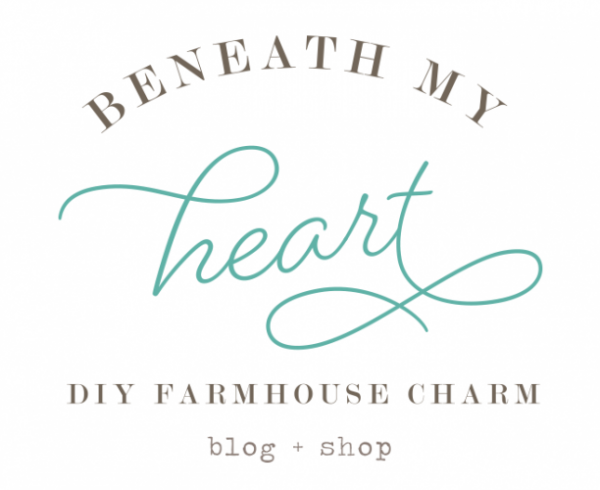 Follow the other compassion bloggers here! « How to style a coffee table in 5 easy steps! You are so right! My family is sponsoring children in Colombia, India, Mexico, and El Salvador and we feel that these kids are a part of our family. 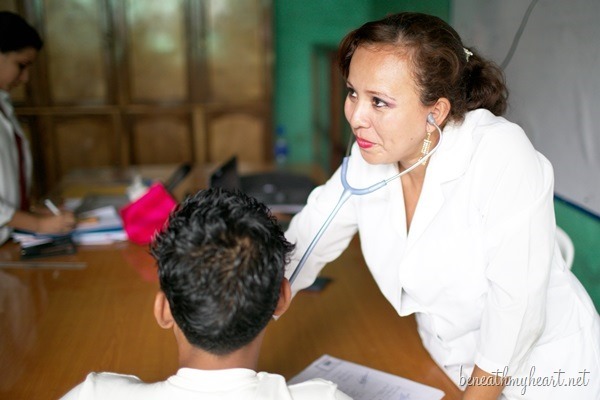 We can’t be there to physically love on them, but we know that the Compassion teachers and leaders can give them the physical love that we can’t. Looking forward to more posts from your trip! Praise be to God for the work of Compassion to serve these children! I’m so glad you have this opportunity to see the work of Compassion. I love the name of the center there – beautiful. I sure hope the sponsors of this girl see this post and see their photos in that book! 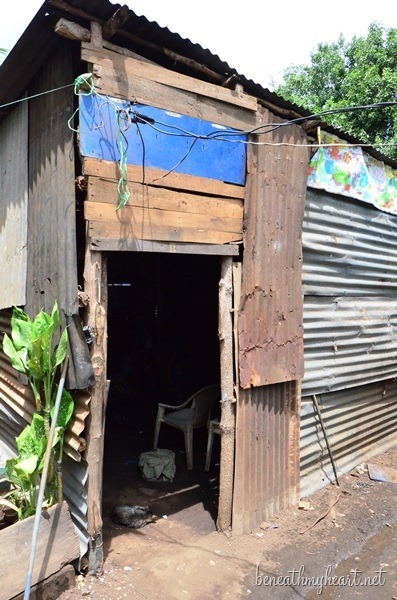 We have sponsored Josseling in Nicaragua for 10 years now. My husband got to meet her and her family in 2012 when he was in Managua. I know, Jill! I added that photo of the sponsors because I am hoping they stumble across my blog somehow and see this precious child they are sponsoring! It really does mean so much and makes such a difference! Thank you for sponsoring a child as well. Thank you so much for going on this trip and showing us first hand what Compassion is doing in Nicaragua. My sponsor daughter Katherine is at NI 156, which by number is so close to where you were. I hope that you do get to visit there too! I love my sponsor kids like they are part of my family, so I’m with you for sponsors being the heart! Praying for all of you as this week is sure to have a huge impact on all areas of your lives. We have enjoyed seeing Nicaraqua from your eyes. WE have a sponsor child at NI-251- not sure if you will be visiting them – will keep reading everyday to gain a better understanding of this country and the work of Compassion. Thank you! 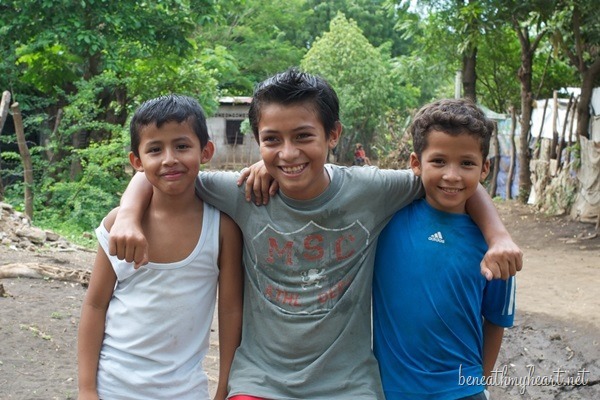 Thank you for sponsoring a child in Nicaragua! 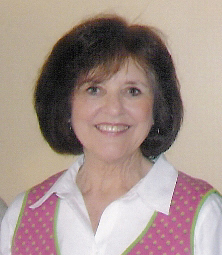 Thank you, Sherry! 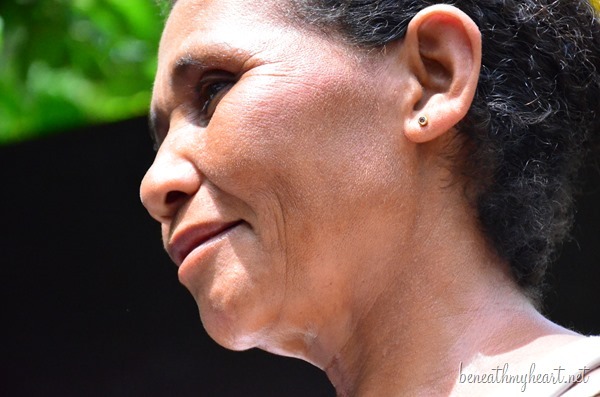 I don’t think we are visiting your center, but you will definitely understand the wonderful love your child is receiving by following our posts here in Nicaragua. The Compassion staff is amazing! What a wonderful job you did showing the hope and love, and highlighting the tireless work of Compassion. Each time I read accounts of these trips there is always a Pastor or other worker whose love for the children brings tears. What dear people and how much we can learn from them about the heart of God, and about the heart of obedience the Lord wants to cultivate in us. Thank you! Meeting the pastors and the workers of Compassion has been one of my favorite parts of the trip. They just radiate love for these children! Our sponsored child is in Nicaragua also! So cool! wish i was there with all of you! Thank you for sharing this amazing opportunity with us! What a blessing you are to the people there and to us, the readers. I pray this stirs the hearts of those who follow your journey and more child find a sponsor, no matter where they live!! Hope is such a small word, but with such an enormous, everlasting, life altering impact. Thanks for giving us a word picture of hope! Praying for you all today. Traci thank you so much for sharing this! I sponsor Neema in Nicaragua and hopefully one day can go visit her. Thank you for sharing the pictures and your experiences. Thank YOU for sponsoring a child, Kristen!!! Thank you so much for sharing. 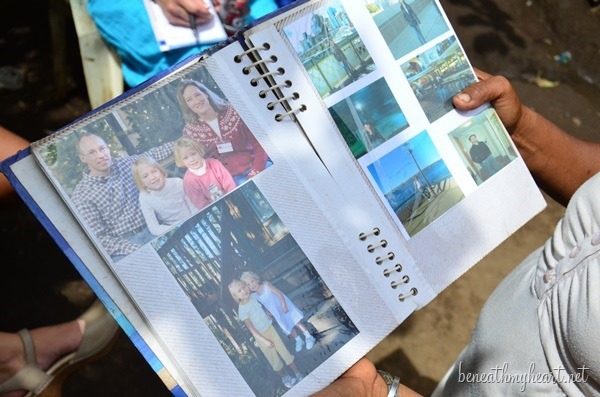 The photo album brought tears to my eyes…amazing to see what an impact sponsorship has on a family. It truly is amazing, Leanne! I’ve had tears in my eyes most of this trip. Will you be going to NI-210?? Oh gosh, my little one is there and I would love it if you could give her a hug for me!!!! Oh no! We are going to NI-211! So close. :) I wish I could give her a hug too. But I know that she is receiving lots of love and care in her center as well. 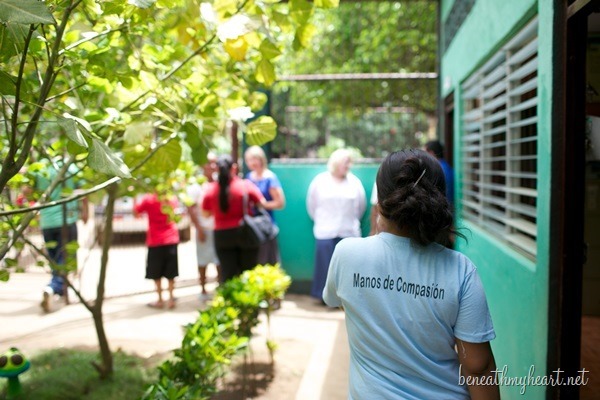 Compassion is doing an amazing job serving the children of Nicaragua! thank you for going and sharing and writing, those children? precious. 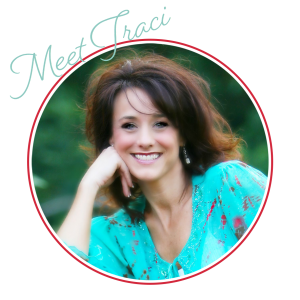 love you traci! Love you too, Nester! These children are A-MA-ZING!!! OH girl – the smell, the stench, I can still remember it myself and yet to see their joy in the midst of it, it’s so hard to wrap our mind around it, isn’t it? Yet by each of us saying yes, we can be a part of that. Thank you for doing that and sharing with us. love ya, girl!! Praying for each of you this week! Thank you, Jen! Love you! 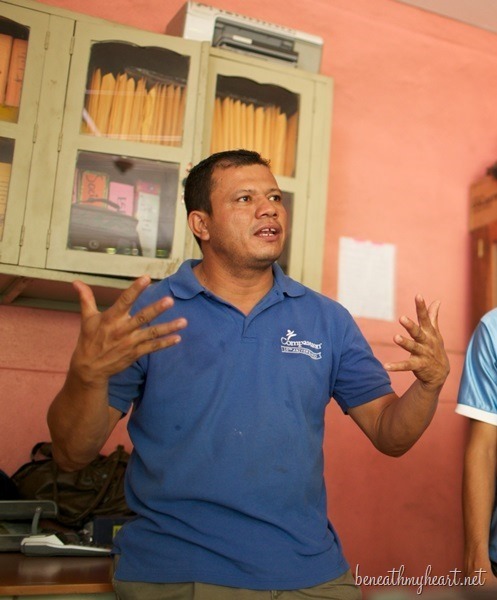 Love hearing about your time in Nicaragua. I was there in June of 2011 and spent a amazing day with the 4 kids I sponsor there. My kids go to- Jennifer NI151, Ana NI 189, Byron NI170, Yaritza NI221. That is awesome!!! Thank you for sponsoring so many children. It is beautiful to see how it is changing their lives. I don’t think we are visiting any of the centers your children are in, but rest assured that they are well loved and well taken care of. 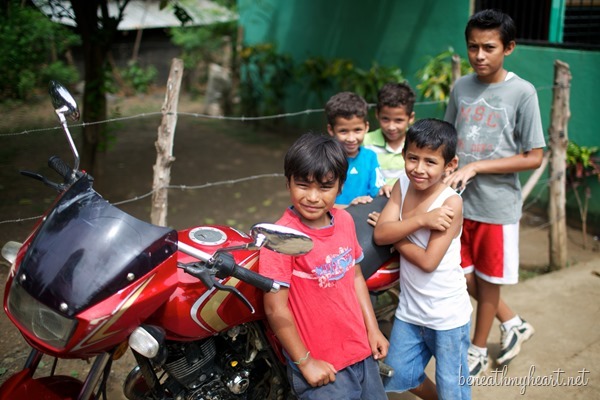 The people of Compassion here in Nicaragua have HUGE hearts of love for these children. God bless you and all the people of Nicaragua! 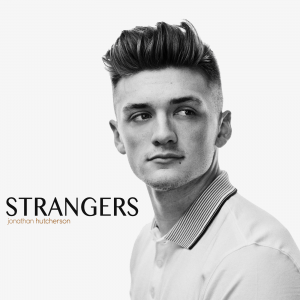 Thanks for sharing your journey! You are such a tiny person but I am sure you will come home with an even bigger heart. God bless you and all of the children. Shirley, you are right! My heart has exploded in size! I love these children more than I could ever put into words!!! I wish everyone could meet these precious kids and see how having a sponsor and being a part of the Compassion program changes their lives! It is amazing! I’ve been praying for your teams safety (we heard earthquake/tsunami) and for you there…and for your boys. My daughter’s college roommate’s father was in a high government position there until the difficult times of the 80’s to 90’s horrible militant rule. This my heart is close to this country. I am glad that Inez does have a home. And food. Thank you so much for your prayers, Gwen. It is a beautiful country with beautiful people. Hey Sister! So glad to “see” you there! 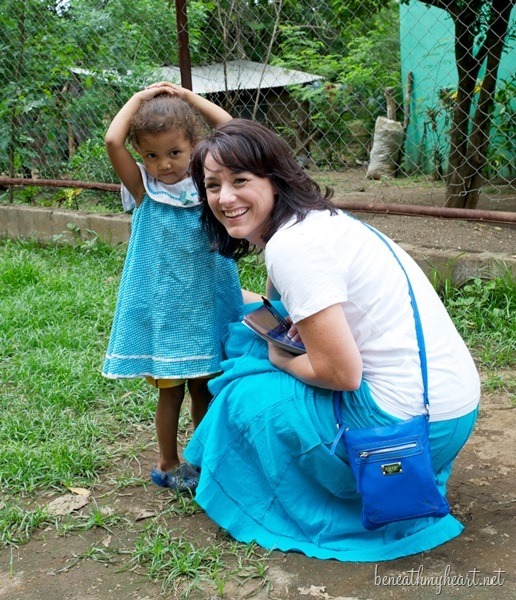 Your pics and first impressions remind me so much of my first trip to Guatemala. I am praying for your heart, my friend. Praying that the brokenness that God allows does not heal quickly. I pray that when you return home and the “normal-ness” of the world tries to heal it with a thick scab, that God… in His mercy… rips that scab off! I love you sister. I have seen your big, beautiful tears before and know that as you “weep with those who weep” that God will be glorified. Thank you so much for this beautiful post!! We have 4 Compassion children (including one who shares a birth date with our son and one who shares a birth date with our daughter) and I really had never thought of how, as sponsors, we get to be the heart of the body in this role. WOW! Thank you for sharing these stunning pictures and stories. I thought my life had already been affected by our role as sponsors, but after reading all the posts this week I have a feeling this is just the tip of the iceberg because God is using these posts to change my heart in MIGHTY ways! I started sponsoring two girls with Compassion in May and it has already changed my life. I never realised how much I have or how much I moan and complain! Yesterday I started sponsoring a beautiful boy with Love Mercy Uganda. Something about these children just grabs my heart and won’t let go!